Reliance Power has pocketed 5 out of 10 hydel power projects in the state of Himachal Pradesh via competitive bidding process carried out by the Directorate of Energy in HP. In total, bids were sought to establish 10 power facilities with a total capacitance of 1,283 mw. The 5 projects of the company bagged will have an overall capacitance of 672 mw. 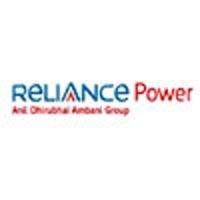 In addition, Reliance Power has entered advance stage of tying up debt of Rs 7,000 crore for funding its 2,400 mega watt gas-based power project at Samalkot in the state of Andhra Pradesh. SBI is the key arranger for the arrears, which would comprise an offshore liability of Rs 3,000 crore from US Exim Bank. The project is being established at an overall cost of Rs 10,000 crore.